You’ve just gotten the phone call that everyone dreads—a tax auditor from the Canadian Revenue Agency has just called and asked you to schedule an audit. He or she wants to go through, usually, two or three taxation years and you’ve got to provide this person with all your records. It’s a scary procedure that can cause a lot of stress. Here are a few things you can expect once an audit has begun. Depending on how complicated your business is, how many areas of your business they’re looking at, or how quickly you can provide the records, the length of time can change. Usually, a small business audit takes about three or four days for every two years of records. Just like you wouldn’t want to have an employee go off and do something without justification, the CRA doesn’t want their auditors going off without good reason. As they are going over your records, they are looking for things to explain why they requested this audit. Make sure you know exactly what years they want to look at—don’t give them anything else. Yes, it’s your business and they’re your records, but your accountant will have a far better understanding of the information and will be able to answer the questions in a clear, concise manner. Don’t pretend to understand everything and possibly make a mistake. 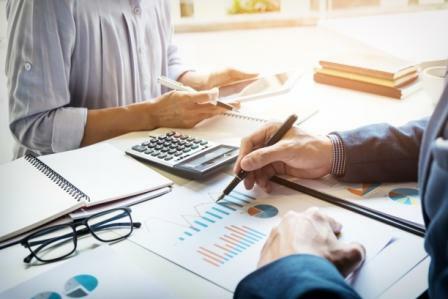 No matter if your small business is in Port Moody, Burnaby, or anywhere in the Lower Mainland, the easiest way to get through an audit is to have a tax accountant already in place to take care of your business. A good small business accountant will help you be prepared before that phone call happens.